My 30+ years of Carpet industry experience has given me the unique ability to locate honest & reputable carpet dealers who provide first-class service, have reasonable prices and provide qualified installations. The flooring dealers I recommend stand behind their products & services and will make sure you are completely satisfied with your purchase from start to finish! As a Consumer Advocate and 30-year veteran of the carpet business, I know how difficult it is to choose new carpet wisely and get a fair & square deal. I hand-pick each of my carpet dealers using my own special set of strict requirements. You may have to drive a little farther to visit one of my Preferred Carpet Dealers but I know it will be well worth the trip! There are plenty of unscrupulous carpet retailers you need to avoid. I get thousands of emails from upset homeowners who bought carpet from home improvement stores, corporate franchises or national chains. These corporate giants are quick to take your money but are not eager to help you if you have a carpet problem, concern or complaint. 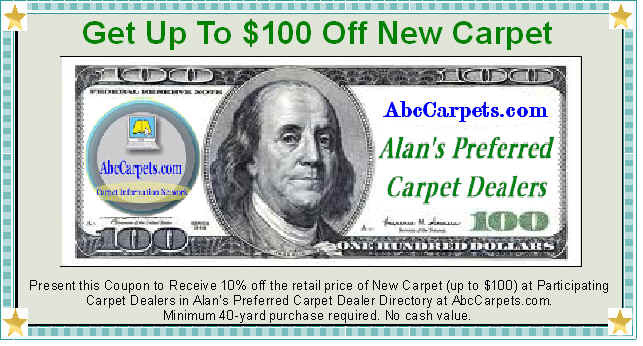 You do not want to fall victim to any carpet retailer who is out to take advantage of you! My years of industry experience gives me the unique ability to recognize honest, reputable and locally-owned carpet dealers that provide excellent service, reasonable prices and qualified installation. The dealers I recommend stand behind their products & workmanship and go the extra mile to make sure you are completely satisfied with your purchase from start to finish! Please be careful who you buy from... Buying new Carpet is a major homeowner expense and you need to be sure you choose your new carpet and padding wisely, get qualified installation and get a fair and square deal! You deserve first class service before, during and after the sale! I want to hear about your Carpet shopping experiences. I welcome your comments and suggestions to make my free informative carpet shopping advice better for all my readers. Email me all your questions buying as often as you like. Let me help you choose carpet wisely, avoid common carpet scams and show you how to get a great carpet deal!